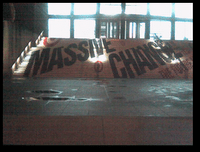 Billboarding the exhibition on the steps of the museum. 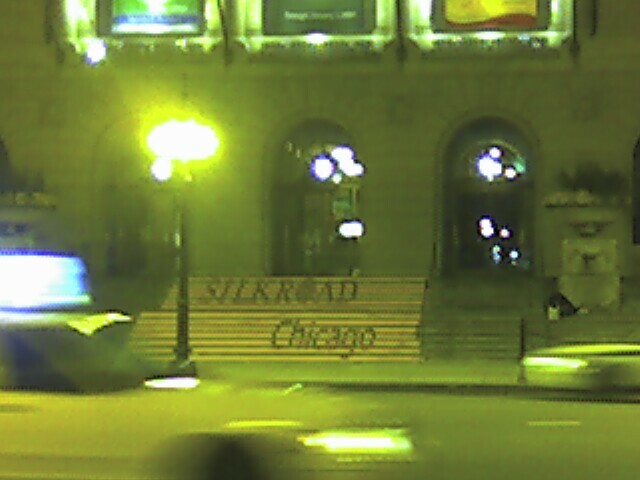 See the signage for the Silk Road on the steps of the Art Institute? This doesn’t bother me. Because it doesn’t plug the sponsor, like this one does. By the way, at a lecture at the Art Institute of Chicago tonight, the legendary photographer of modern architecture, Julius Shulman, now 95 years old, revealed an obsession with Erin Hogan – the Director of Public Affairs at the Art Institute. 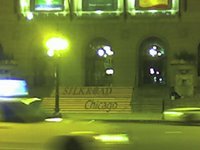 Hogan had been taking Shulman around the museum that day; she is many years, no, many decades, his junior. Yes, she is lovely. Julius Shulman spoke at length of her to a large audience gathered to hear him talk of his pictures and his life. He compared Ms. Hogan, and her chic clothing, to the beautiful architecture he loved to photograph. Live long enough, and I guess you can get away with that. 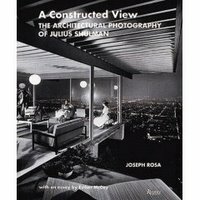 Shulman was admirably interviewed by the Art Institute Architecture and Design Curator Joseph Rosa, who has also published a fine catalog and biography on Shulman. The Shulman exhibition, filled with the “California lifestyle” and light, and more beautiful people than you could fit in a swimming pool, runs through December 3rd. 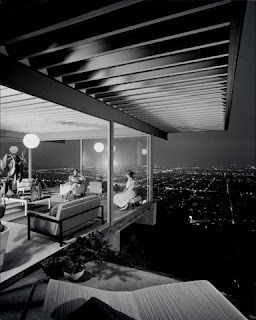 You are currently browsing the archives for the Julius Shulman category.